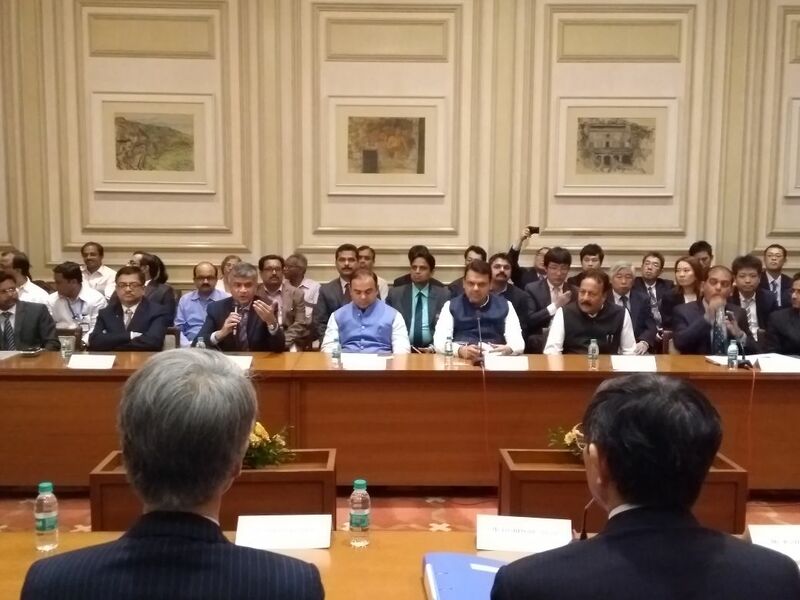 Mumbai; 2nd February 2018: Maharashtra Government renews the Memorandum Of Understanding (MOU) with Wakayama Prefectural Japan (WPJ) for 5years by Shri.Devendra Fadnavis, Hon’ble Chief Minister of Maharashtra with Mr.Yoshinobu Nisaka San, the Governor of Wakayama in the presence of Shri. Sumit Mullick, Hon’ble Chief Secretary, Government of Maharashtra, Shri.Jaykumar Rawal, Hon’ble Minister of Tourism & (EGS), Shri. Madan Yerawar, Hon’ble State Minister of Tourism, Shri. Nitin Gadre, (IAS), Principal Secretary, Tourism & Culture, Government ofMaharashtra, Shri. Vijay Waghmare, (IAS) Managing Director, MTDC, Shri. Aashutosh Rathod, Joint Managing Director, MTDC, Smt. Swati Kale, General Manager, MTDC and Shri. Chandrashekhar Jaiswal, DGM, MTDC & Project Coordinator MTDC-WPG, Dr.Lalit Kanodia ,President ,Indian Merchant Chambers(IMC),Shri.Farhat Jamal,Chairman Travel and Tourism , Indian Merchant Chambers(IMC), among other respected stakeholders to enhance mutual economic growth and investment opportunities. The MoU between Maharashtra Government and Wakayama Prefectural Government, Japan (WPG) commenced in the year 2013 with the purpose of enhancing the relations between Maharashtra and Japan for encouraging and expanding association in the field of tourism and investment, promote Argo and Food processing units. The MOU has been successfully driven by Maharashtra Tourism Development Corporation with a surge in bilateral ties. Engagements ranging from Tourism promotion, Heritage conservation, training to officer exchange. More than 40 delegates from Wakayama Prefectural Government, Japan (WPG) visited Indian Merchant Chamber (IMC) to promote the prospects of Wakayama. 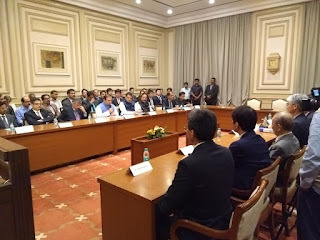 The delegates has also visited the various heritage sites and commercial hub in Mumbai including Chhatrapati Shivaji Maharaj Vastu Sangrahalay (CSMVS), the Bombay Natural History Society (BNHS) and BSE to understand the importance of these heritage sites and explore the diversity of the state. Since the Significance of the MOU, following activities have taken place between WPG and Maharashtra. 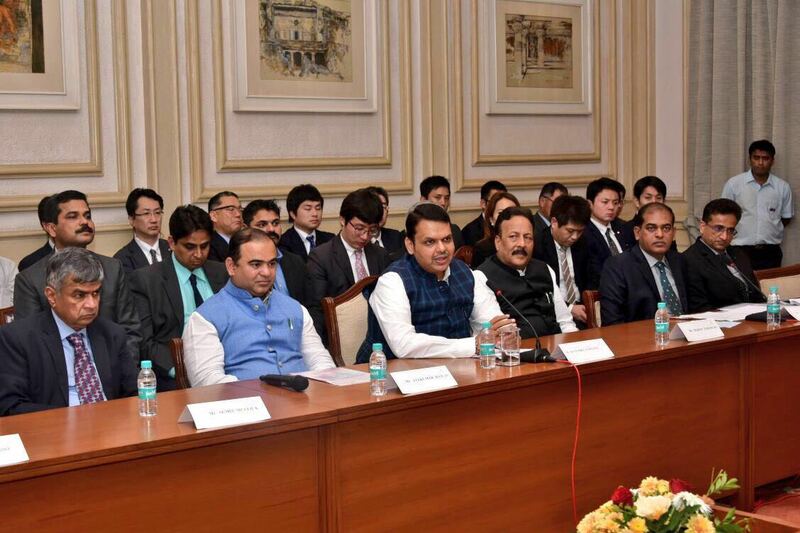 Wakayama Prefectural Government has opened an office in Aurangabad & Mumbai for the promotion of Wakayama tourism in the Maharashtra. In the year 2015, Maharashtra Tourism unveiled the Bharat Ratna, Dr Babasaheb Ambedkar's statue in the University of Koyasan in Japan at the hands of Shri.Devendra Fadnavis, Hon’ble Chief Minister of Maharashtra and Mr.Yoshinobu Nisaka San , the Governor of Wakayama on that juncture Koyasan was celebrating 1,200th year of its foundation, India and the rest of the world was rejoicing 125th birth anniversary year of Dr Ambedkar. A memorandum of understanding was also signed between Koyasan University and the Babasaheb Ambedkar Marathwada University on that occasion.